Is your furnace or boiler in need of repair? Is it making noise, not heating your house to your satisfaction, or is the pilot light failing to stay lit? If so, give Specialized 72 Degrees a call, and our professional HVAC technicians will come to your home, diagnose the problem and fix it. Specialized 72 Degrees is fully licensed and insured, and our technicians are NATE certified and trained to the highest national standards. 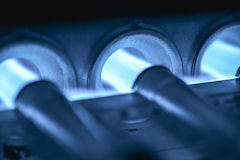 This insures proficient and expert heating repairs. Furnace failure can be caused by a number of different issues, and the pros at Specialized 72 Degrees understand how important it is to your family’s comfort to quickly get your heating up and running again. Furnace service is essential for systems that are emitting unusual smells or noises since your family’s health and safety can be compromised. If this is happening, please call us immediately at 970-221-5621. These and other issues can severely degrade furnace performance and our techs can help you decide if a repair is appropriate, or if it’s time to consider a new heating unit for your house. We are fully licensed, bonded, and insured for your protection. All technicians are NATE certified. Upon request, we are able to provide you with a list of references. Comfort Guarantee– Guarantees that the system(s) we have installed in your home will heat or cool your home as we have stated. If the temperature range we have promised is not achieved, we will replace the system at no charge. 100% Money Back Guarantee- We guarantee that the equipment we have installed will perform as we have stated. If the system does not heat or cool your home to your satisfaction, we will remove it and return 100% of your investment. No Lemon Guarantee- If the compressor in your home air conditioner fails twice in the first five years, we will install a complete and new outside unit. If the heat exchanger in your furnace fails in the first ten years, we will install a new furnace. Property Protection Guarantee– All property such as lawns, shrubbery, carpeting, floors, walls, furniture and door frames are protected. Damaged property will be replaced or repaired. Protective shoe covers or hall runners will be used on all work and traffic areas. Contact Specialized 72 Degrees Air Conditioning & Heating today at 970-221-5621, or browse our website for more information about air conditioning or duct cleaning.